Fostering 21st century career skills and expanding access to jobs. The Career and Technical Education program (CTE), one of the organizations five-points, is designed to prepare youth to find local jobs while attracting new industry and jobs to Malheur County. The CTE program supports the Governor’s 40-40-20 Plan by offering opportunity youth (students who are at risk of disconnecting from the education system and workforce) a chance to earn technical training preparing them for a successful transition into a career. The P2P Career Technical Education project is a collaboration between Ontario, Vale and Nyssa school districts, Treasure Valley Community College, Malheur Education Service District, county and state agencies, youth-serving organizations, parents and youth themselves and for the past three years has followed a coordinated approach to improve outcomes for local youth. Through a collaborative process, the CTE Steering Committee members along with Oregon Solutions and some 50 community stakeholders signed a Declaration of Cooperation that pledged their support and made mutually reinforcing commitments to achieve the goals of the project. The P2P project is effecting policy change, making funding career and technical education a priority, and creating an aligned service delivery system to serve local youth. The CTE program is 1 to 3 years in duration and enable youth to work full-time toward their high school diploma, receive job-skills training, and develop a sense of self-worth by succeeding and failing in a supportive environment. By deepening youth’s skills and knowledge, these efforts enable youth to develop stronger confidence, self-belief, and a desire and capacity to do something meaningful for themselves, their families and their communities. Moreover, this program will create strong mechanisms for elevating youth as a part of the solution for economic recovery. 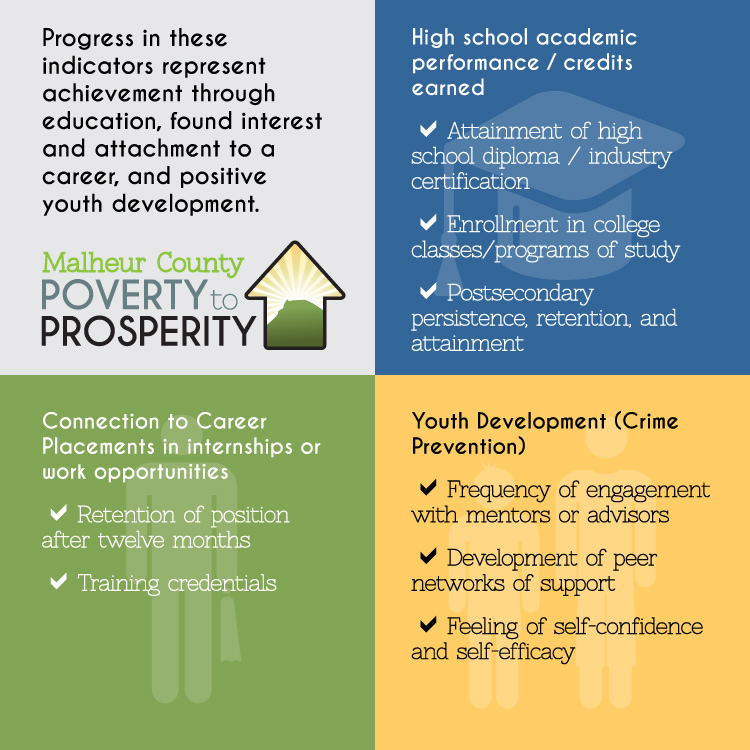 The Malheur P2P Career Technical Education Program is implementing curriculum and providing training designed to foster 21st century career skills and expand access to jobs for at-risk, underserved and under-represented students. The first phase of this project started Fall 2013 with a Pilot Welding/Fabrication program that included 20 juniors and seniors from Ontario, Nyssa and Vale High Schools. These students earned high school and college credits and will receive a welding pathway certificate. Fall 2014, a new group of students started cohort 2 welding track at a remodeled Ontario High School Welding lab (TVCC annex) while cohort 1 welding students are continuing their second year at the TVCC welding lab. An allied health professions track, with 67 students attending, was also introduced. Through classroom curriculum and on-site instruction (with industry partners) these students are being introduced to the future of certificate level health care related careers. Other potential programs being considered include automated systems and business technology. Currently, the welding and allied health programs are taught at multiple locations, due to lack of facility space. Future plans are to construct a CTE Center that would house classrooms and shop facilities on 5 acres, currently owned by Treasure Valley Community College. The Center would facilitate career technical education instruction that could accommodate high school and college students as well as members of the community, along with business and industry sectors. The Center would directly address two of the most important issues facing Malheur County, poverty and workforce development.